There are several toiletries on a bureau in Doug Kenney’s bedroom. Among them, a jar of Vaseline and a bottle of Old Spice cologne. 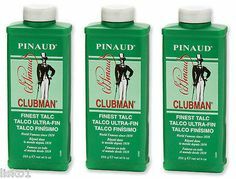 The tall green bottle could be Pinaud Clubman talc, but the front label is not shown, so I can’t tell. There’s an interesting bottle with a red pegasus on the front. Believe it or not, it’s a Mobil Gas Station hand lotion, presumably from the 1940s/1950s.